A Nutty Tobacco with Caramel and Vanilla Notes. ryk was the first bottle i purchased from fluid a couple months ago and it is still to this day my favorite 'sweet tobacco' vape. the complex flavors remind me of sweet tobacco with notes of caramel, vanilla and toasted nuts. my friends who don't smoke or vape think this flavor smells outrageous when i vape around them. 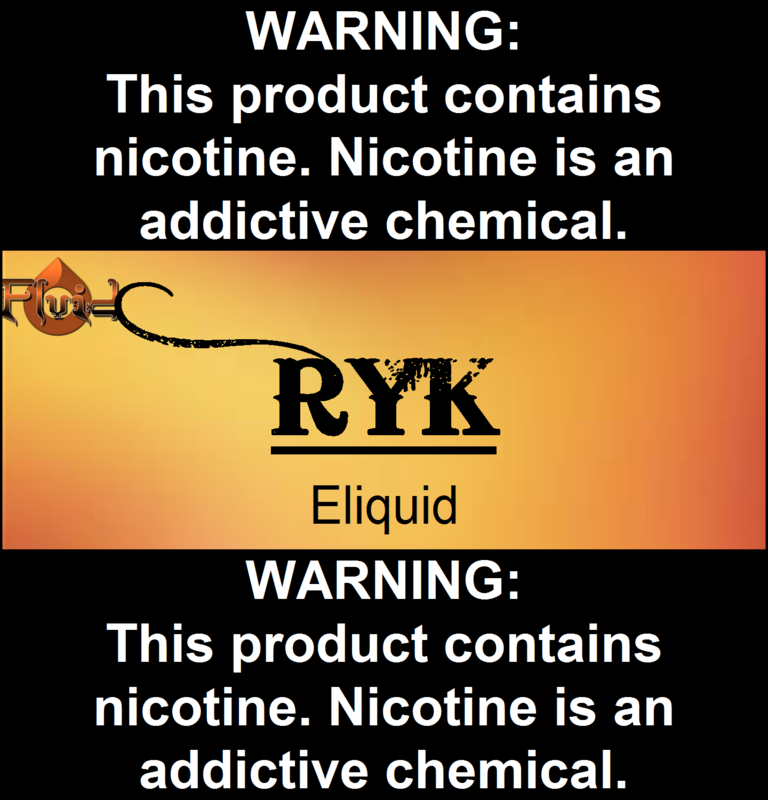 ryk is a permanent stand-by in my juice collection, and when vaped using the kanger evod, the true character of this unique, rich juice is intensified 10 fold. the evod makes it taste so pure and clean to me. regardless, you'll enjoy it! lets start off by staying fluid is the best vape store on longisland...and ryk is right up there very smooth and has a great after taste and a nice nutty smell. I Love the caramel and Vanilla blends its smooth and I never seem to get sick of vaping on it. I used to love the Velvet the best but I think I prefer this on slightly more. My wife's favorite and only liquid she really enjoys. Is one of the few regulars I vape as well along with B. O. L. E. Fluids quality is among the best liquids and the consistency is unmatched by any other brand. Copyright Fluid Vapor. All Rights Reserved. eCommerce Software by 3dcart.